The Deltabell Plus is a Fully Functioning Bell with White Cover Alarm, an economical and effective alarm for your property. 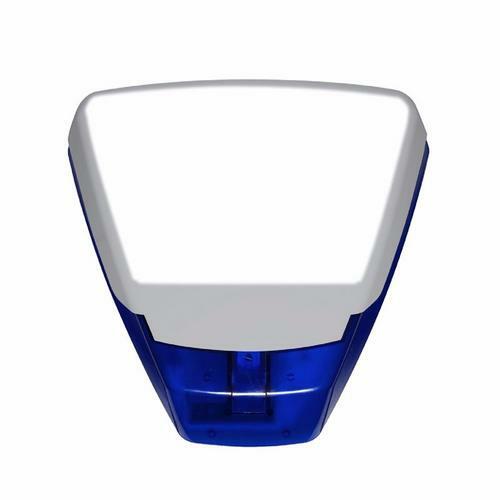 It has an audio deterant featuring a Piezo sounder with high 109 dBA decibel output and also a fully back-lit cover to provide around the clock visual deterrent. An added feature is that the illuminated cover will strobe when the alarm is activated so that your alarm will be seen in ‘alarm mode’ from a distance. LEDs on the Deltabell PLUS can be disabled so potential intruders are unaware its power status. A hinged cover locks into place so that both hands are free to work on the sounder. Unique leveling mechanism and modular components now make for a simple sounder installation. Spirit level is included so that you can easily mount the unit and revolving guide holes are used to save time lining up screw and drill holes. To install this unit, you may also be interested in C.K Tools Electricians Cable Cutter.